Why and where do you escape when you pass through the unknown ways? 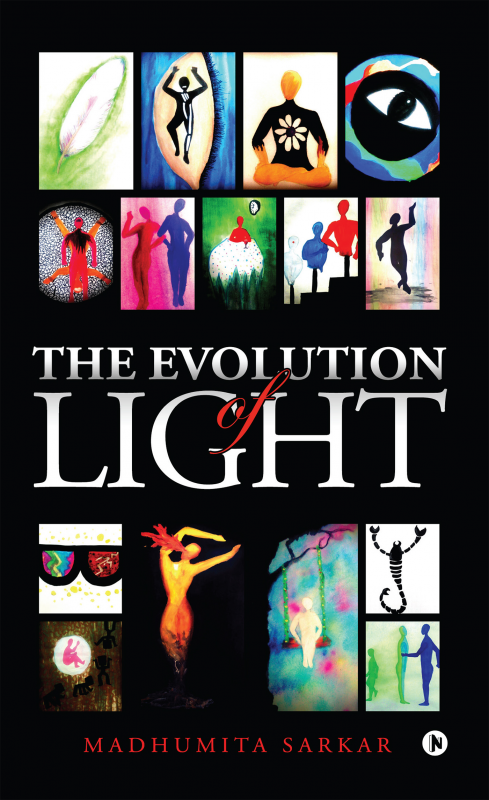 The Evolution of Light is a collection of poems that encourages the reader to focus on the significant details of life and personality that are often left unseen in the bigger picture. In a society where we live with billions of our own kind it is difficult to stand out and we often feel lost in the darkness. With every passing day we try to understand the people around us, but we essentially forget how important it is to understand ourselves, the emotions, aspirations, thoughts, ideas and even the identities. Everything is repressed under the compliance of the social order. But when the reality hits us hard, we cannot reject them, we try to elude them. So let us put some light into how the world might look, if we never have to escape. Poetry is usually considered to be a form of art that only a few can relate to, but this book does not limit itself to any particular kind of readers. Every poem in the collection is written to communicate with every individual who reads it. Madhumita Sarkar is a twenty two year old poet with many faces but one mind. She was born in the city of Delhi, where everything seems a little out of the way but still fits in. She graduated in English from St. Stephen’s College and continues to study psychology to understand mental processes, human behavior and experiences. She travels out of her space and time every now and then to bring light in the dull colors of the sceneries, building, attitudes, opinions and some characters. The shades of her writing are inspired by her deep emotions, secrets and desires, which she drizzles out in her poetry, a part of which can be explored in The Evolution Of Light. When she is not engrossed with resolving her thoughts and ideas, she likes to spend quality time with her family and friends who are the cores of her wonderful life.